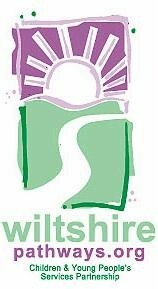 www.WiltshirePathways.org is the website of Wiltshire Children & Young People's Service Partnership. It includes access to the Partnership's extensive database of information about services that support children & young people (and families) who need additional help - what the services do and how to contact them. It describes services that respond to the whole range of difficulties that children & young people may encounter. You can find out about the new Children and Young People’s Plan for Wiltshire and about Children’s Trust Arrangements and how they are being implemented in Wiltshire. The information in this service directory can be searched by - * type of problem; * type of help required; * type of service; * geographical area (and this includes a facility to print out a local directory of services. You can also apply for Multi-agency and Child Protection Training. Please have a look and see how Wiltshire Pathways can help you.